Great Tips . . . 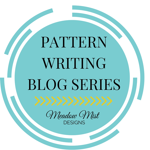 When I started this blog my goal was to find quick tips and techniques that would help quilters and sewers. So, as usual, I was searching the internet and came across Amy Smart’s blog; Diary of a Quilter. She’s the author of Fabulously Fast Quilts. After viewing Amy’s, April 28th blog post, Fabulously Fast Quilts and Quilting Tips, and several bloggers that she posted on her site; who commented on her book. I’ve decided to purchase her book. She has some beautiful quilts; they look complicated, but as the title reads, Fabulously Fast Quilts; they are not complicated at all. I’ve listed several tips that were listed on her site and her blogger friends (quilters and sewers) sites. As I’ve stated before; these tips and techniques are not mine. I’m just compiling and sharing great information that I hope will help quilters or anyone who sews. For more tip information click on the links below. Enjoy and leave a comment! 1. Pre-wind your bobbins before you start your projects., and try to use the same brand, type, and weight of thread at all times. 2. Starch – starch your fabric before you cut it. 4. Bulk pressing – sew as many pieces as you can and then press. 5. Cut your leftover fabrics into useable strips and squares. Then store them in baskets for easy access. 6. Find your focus fabric first, and then pull colors from your stash that are in the focus fabric. 7a. Always check your seam allowance. Sewing machine settings differ so check it before you begin sewing that 1/4″. Use a seam gauge to test yours. 8. Quick tips – Cutting up to four layers of fabric at a time, marking more than one piece of fabric, and chain piecing; even if you are stitching out of order. 9. Binding tip – Press binding away from fabric. Then, turn it over, and press it again. You can use Wonder Clips to tuck down the binding or you can use any other clips that you may have. 10. Glue basting is one alternative to pinning your patchwork pieces. 12. Quick quilt borders – click link for details.